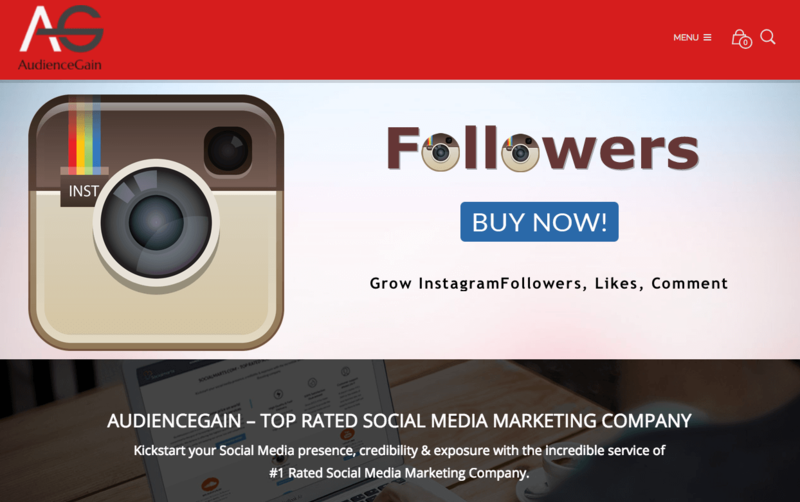 AudienceGain.net is a social media marketing company that provides promotional services for some of the most popular social networks. For Facebook, they offer page likes, photo likes, video views, and shares. The company’s refund policy applies to all their services, while their retention guarantee only applies to particular services. Unfortunately, it does not include Facebook likes. You can contact their customer support through email and live chat, but based on our experience, they are unresponsive. We don’t recommend AudienceGain.net as a quality provider of Facebook likes. If you want higher quality growth, read our reviews of the top Facebook Likes providers on the market. 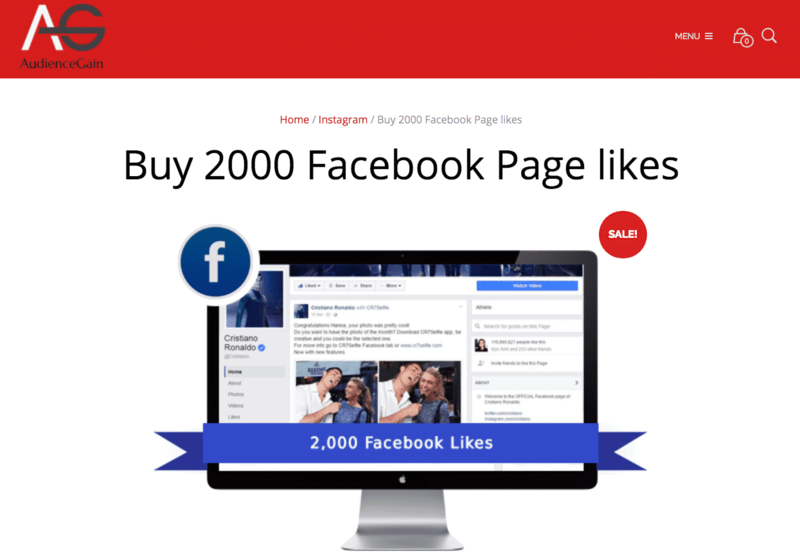 AudienceGain.net is a social media company that was registered in 2014. They claim to have served over 92,000 customers. According to their website, the company starts delivering orders 24 to 48 hours after you’ve placed them. The company’s customer protection policies vary from service to service. Their money-back guarantee applies to all packages, while their 30-day retention guarantee only applies to selected services, excluding Facebook likes. AudienceGain.net doesn't need your password or other login information to deliver your order, but they will require you to allow notifications. AudienceGain.net offers five Facebook likes plans. They also have other Facebook services, including post likes, shares, and video views. Their cheapest likes package gives you 500 likes for $35, while their most expensive one gives you 10,000 likes for $485. Their turnaround time depends on the size of the package you’ve ordered, and could be between 1 and 14 days. The company accepts payments via PayPal, credit cards, and Amazon payment. We reviewed the terms and conditions sections on the AudienceGain.Net website and made a few comments on their status below. To find out more details on these, then please toggle the sections to see what we thought! AudienceGain.net has full intellectual property rights to all materials posted on their website, including images, and visual elements. The company is in no way liable for any potential issues and errors that might arise out of the use of their services. They also don’t guarantee immediate resolutions to errors. AudienceGain.net states they only require confidential information that is necessary to deliver orders. Any other data sent to the company will be deemed non-confidential. They won’t ask for your passwords or other personal information. They won’t disclose your information to third parties. AudienceGain.net offers a limited money-back guarantee in case the customer’s needs are not met within 30 days of completing the purchase. AudienceGain.net offers a Limited Retention Guarantee for some of their services. On their website, you’ll find a list of these services protected by the guarantee. Facebook services don’t come with any form of retention guarantee. 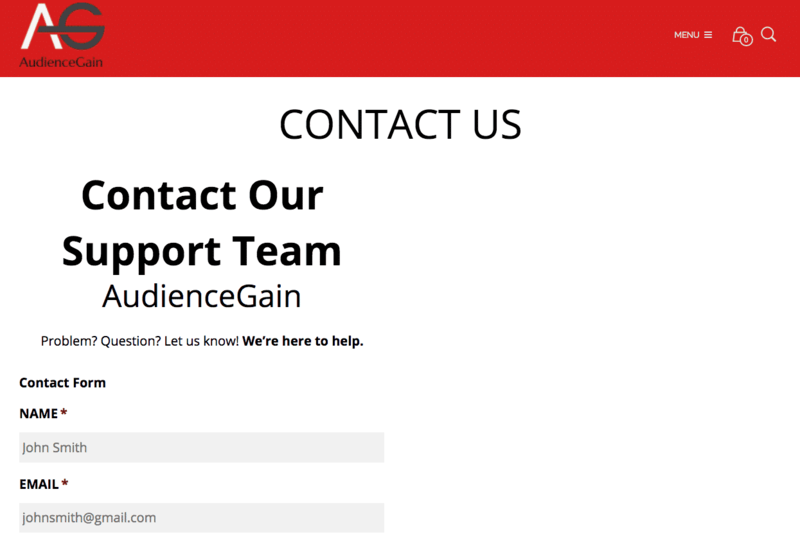 The customer support of AudienceGain.net can be reached through email (admin@audiencegain.net) and live chat. According to their website, their customer support team is available 24/7, but that doesn’t seem to be the case when we tried to reach them. This is our second time reviewing AudienceGain.net, and in both instances we didn’t receive any response from their customer support team. We cannot recommend AudienceGain.net as a trustworthy Facebook likes provider. The performance of their customer support leads us to believe that their services aren’t exactly reliable. In addition, they only have a 30-day limited money-back guarantee and a retention policy that you can only use for selected services. Consider checking out our list of reliable Facebook likes providers for better options. According to their FAQ section, delivery of orders starts within 24 to 48 hours after you’ve made the purchase. They would be able to fulfill orders within 1 to 14 days, depending on the size of your chosen package. 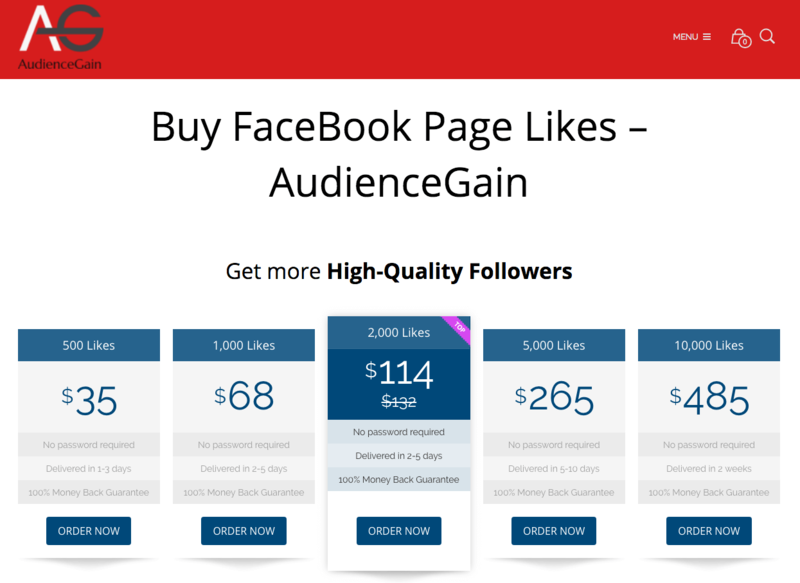 According to their website, AudienceGain.net’s marketing experts will drive real likes to your Facebook page by promoting it on their social media networks. They didn’t share any information about the target audience or users that will be liking your page. We can’t verify the quality of the likes you’ll be receiving. Their 30-day retention guarantee is for specific services only. We couldn’t find a retention guarantee for their Facebook likes services. AudienceGain.net is not the most reliable source of top-notch Facebook likes, we also believe that they are trying to steal traffic from the well-regarded AudienceGain.com. We couldn’t verify the quality of the likes they provide. In addition, their retention guarantee is for specific services only and doesn’t cover packages for Facebook. Their customer support service was unresponsive, giving us more reasons to question the reliability and trustworthiness of this company. Worst of all; they are the most expensive base-price provider we have reviewed. All in all, we think that this is a suspicious provider that isn’t even worth visiting. If you need organic growth for your page, you’d be better off choosing from our list of expert Facebook likes providers we recommend.